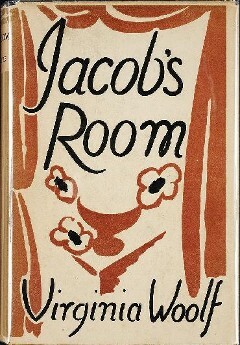 Virginia Woolf's third novel, Jacob's Room (1922), break stylistically with her earlier work; Night and Day and The Voyage Out. It is seen as an important modernist text. The story's narrative meanders around Jacob Flanders, the protagonist of the book. The book is a character study where impressions of Jacob are almost entirely delivered by other characters, but not entirely, there are some instances where Jacob's perspective is delivered directly. The setting is pre-war England and the story follows Jacob childhood through to Cambridge and into adulthood. Female characters provide us with the most meaningful insights of his time in London. He later travles to Italy and Greece and the end of the book reveals a surprise. Return to the Virginia Woolf library.